This review is very late but better said now than never, right? 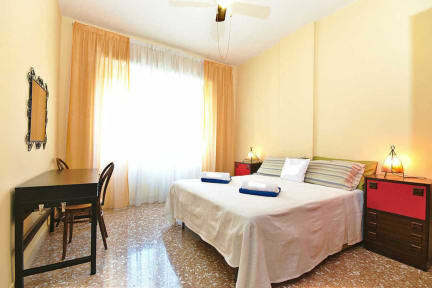 I stayed for two weeks at the Rome Sleep Home and it was an intimidating stay as it was my first time in Italy. I was a solo traveler and my first few days were complicated as I was unfamiliar with everything. Daniele made the rest of my journey easier, enjoyable, and comfortable. The location was quiet at times but then there were days I'd wake up to the sound of construction. But hey, it's the city! Definitely would come back! We arrived later than expected following a day trip to Pompeii. The faculty was not too happy with us because we did not indicate we would arrive late despite the listing saying they have 24 hour reception. We are backpacking without cell plans and therefore could not provide that sort of update. Regardless we had an overall good experience here, it was simple enough to get to from Termini, was clean and had all the accommodations we needed. 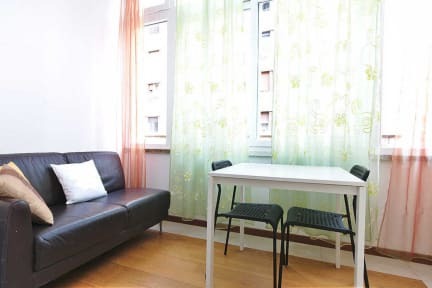 Great B&B style appartment out of the city centre.